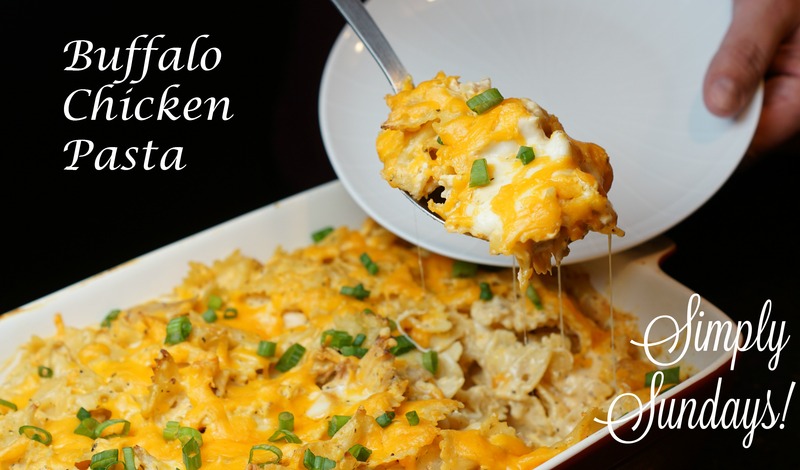 Buffalo Chicken Pasta – Simply Sundays! Buffalo Chicken Pasta it is! Sprinkle with the scallions and serve to your hungry crowd!